For the first 14 years of her life, Josephine lived with her parents and brother under one roof. Unfortunately, months after she joined the Mary Leakey Girls High School in 2016, her parents separated, with her father leaving Josephine, her younger brother, and their mother. Now, a year later, Josephine lives under her grandmother’s care as her mother seeks day labor from town to town. Unfortunately, the wages her mother earns are not enough to sustain Josephine in school. When Moja Tu first met Josephine at the end of her first term as a form 2 student in May 2017, she was preparing to end her time in school and join her mother as a day laborer. In spite of all these challenges, Josephine has maintained an impressive B+ average in her classes. She is an outgoing and sociable girl, with a genuine smile that causes her to stand out. She enjoys playing volleyball, and has a special interest in history and reading. When we met her, she was finishing up Arthur Miller’s Death of a Salesman. Josephine said she felt the themes of the play highlight the challenges faced by many families today, such as divorce and childhood neglect. Josephine hopes to fight these challenges by becoming a family lawyer, and wants to further serve her community as a doctor. 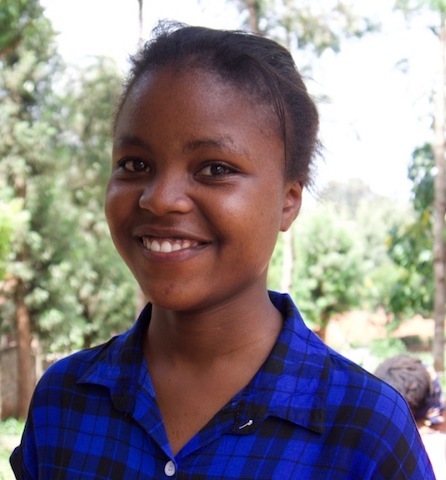 Now that Josephine has been sponsored, she can focus on her education and achieving her lofty career goals. Thank you for supporting Josephine’s future!